Alex Winter said starring in the Bill and Ted films was “therapeutic”. 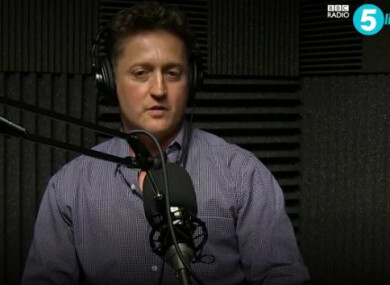 ACTOR ALEX WINTER has spoken out about being sexually abused as a child. The 52-year-old, best known for his role in the Bill and Ted films, said he was sexually abused in the 1970s by a man who has since died. Speaking to BBC Radio 5 Live, Winter said the experience was “hellish”. He said hearing other people share their own stories of sexual abuse and assault, something spurred on by the Me Too and Times’s Up movements, inspired him to speak out. “I don’t think anybody felt like they were going to be heard if they said anything about this type of behaviour, until very recently. “I didn’t feel that I had any place of safety to unlock an extremely sensitive and potentially dangerous secret,” he said. Winter said starring in the Bill & Ted’s Excellent Adventure (1989) and its sequel Bill & Ted’s Bogus Journey (1991) alongside Keanu Reeves was a “therapeutic” experience for him. It was really, really helpful for me mentally. And it was a great environment. The world of Bill and Ted is a very sweet and fun place to run around in. Winter, now a director, said he has a “functioning, healthy life” and feels “incredibly lucky”. Email “Bill and Ted actor speaks about being sexually abused as a child ”. Feedback on “Bill and Ted actor speaks about being sexually abused as a child ”.